Holy holidays, Batman! It’s almost Thanksgiving! This time of year especially makes me grateful for my Puerto Rican heritage. 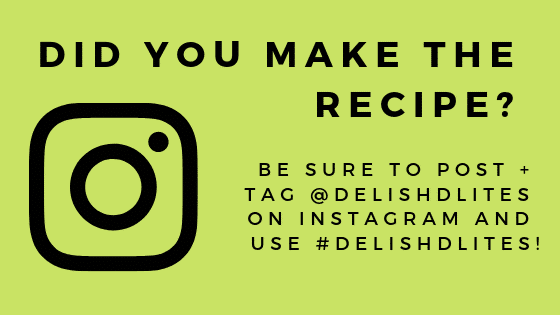 The holiday season is an opportunity for my family to gather around delicious food that is rich in tradition, history, and FLAVOR! The star of our Thanksgiving dinner table has always been, and will always be pavochon. What is pavochon, you ask? Well, it’s really a made up word, or portmanteau, that combines the Spanish words for turkey (pavo) & roast suckling pig (lechon). So pavochon is turkey that’s been seasoned and cooked like roast pork. Also known as the holy grail of Thanksgiving dinner. Pavochon is garlicky, herbaceous, and just plain, freaking delicious. 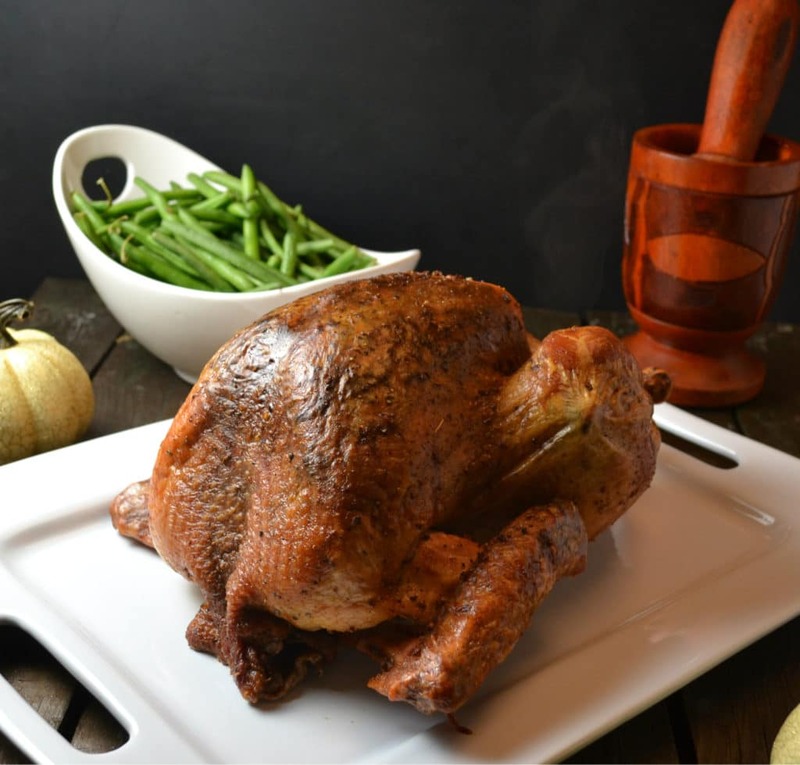 Once you have pavochon, you’ll never go back to making a regular turkey again! Serve with some traditional Puerto Rican holiday sides, like arroz con gandules, avocado, tostones and maybe even some pasteles! 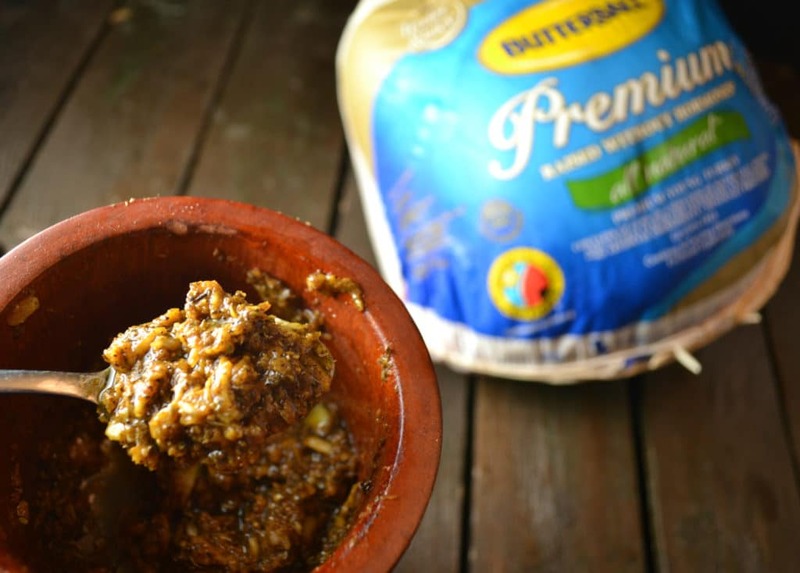 Take Thanksgiving to the next level with my mofongo stuffed turkey recipe! 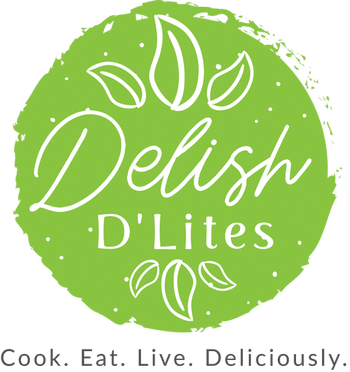 And don’t forget to subscribe to Delish D’Lites on YouTube for video versions of all your favorite Delish D’Lites recipes! Defrost the turkey according to the package instructions, remove the giblets and pat it dry. Place the turkey in a non-reactive container or extra large ziptop bag. Mince up the garlic cloves in a mortar and pestle, or food processor. Add in the Adobo, Sazon, pepper, oregano, olive oil and vinegar. Stir to combine. Using your fingers, gently separate the skin from the meat. Be gentle, so you don't tear the skin up too much. Flip the turkey over, and do the same thing on the other side. Spread half of the mixture underneath the skin on the back side of the turkey. Do the same thing on the breast side of the turkey. Lastly, sprinkle the outside of the bird with a liberal amount of Adobo (2 teaspoons). Cover the turkey and marinate for at least 4 hours, but preferably overnight. When you're ready to cook the turkey, preheat your oven to 325 degrees F. Place the turkey breast side up on a roasting pan fitted with a roasting rack. Don't cover the turkey with foil, otherwise it won't brown. Cook until a meat thermometer reads 165F, basting occasionally. This should take about 3-4 hours, depending on the size of your turkey. Sooo We are making ours on a turkey roaster… to crisp the skin… After removing from turkey roaster? What do you suggest? You can bake it in the oven at 375-400F until crisp, should take about 15-20 minutes. 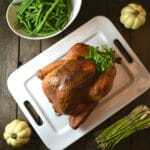 For the seasoning, how much would you recommend for a 12 or 15 lb turkey? Mario, you can double or even triple the marinade recipe for a bird that size. If you want it super garlicky, triple it. Mine is in crock pot now. Awesome Melissa, can’t wait to hear all about it!